« BRING IT ON 2015! 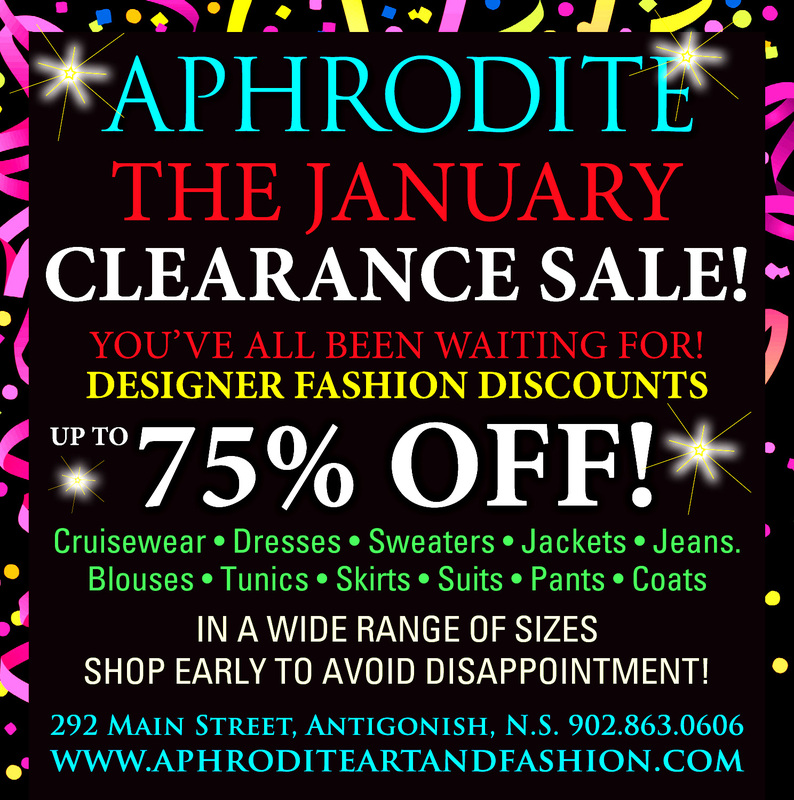 WINTER SHOPPING BONANZA AT APHRODITE! We have consolidated all of our inventory from the Pictou Outlet store to bring you a fabulous winter sale with great savings on designer fashions. Get a fresh start on your 2015 wardrobe!